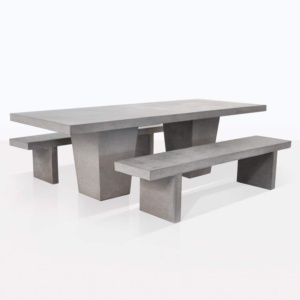 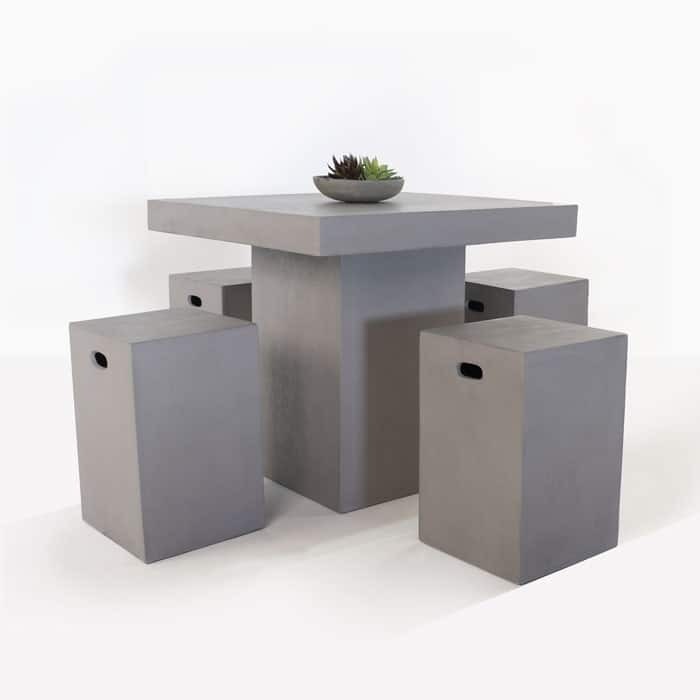 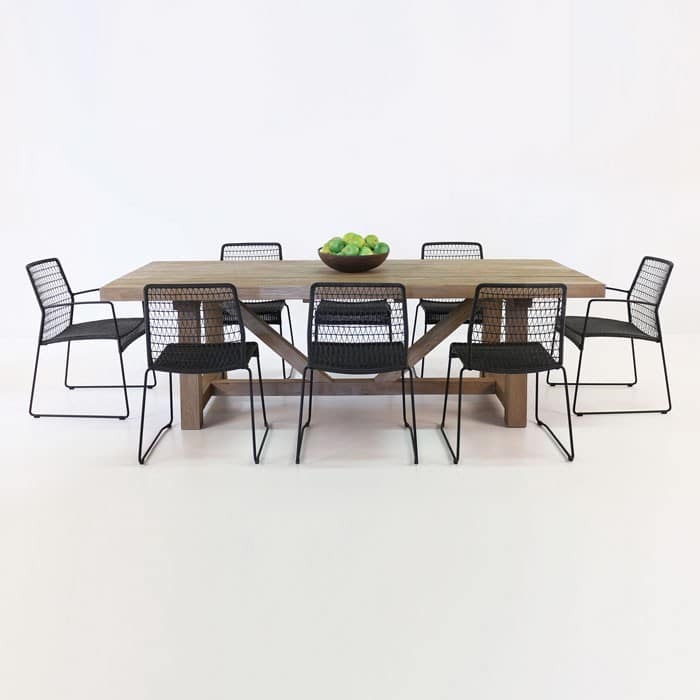 Design Warehouse loves connecting people with wonderful experiences; our dining sets epitomize the varied nuances and the bold expression of the experience of outdoor dining. 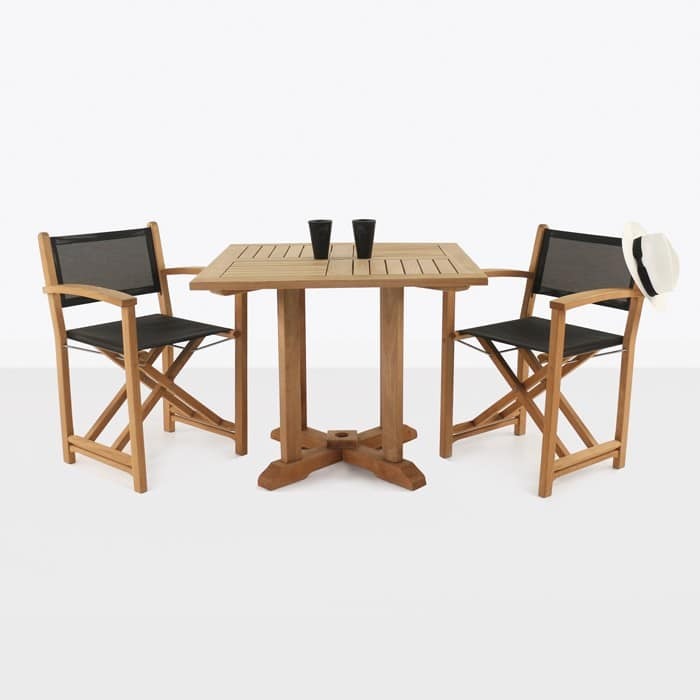 Outdoor Dining is a relaxing and fun experience. 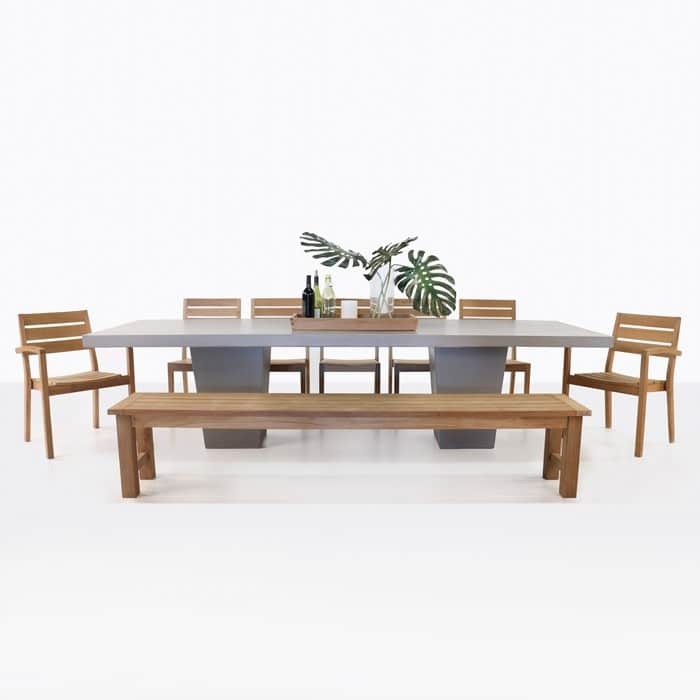 It’s gaining in popularity because it heightens the senses and provides a different experience than a standard dinner in the kitchen nook or in front of the television on the sofa. 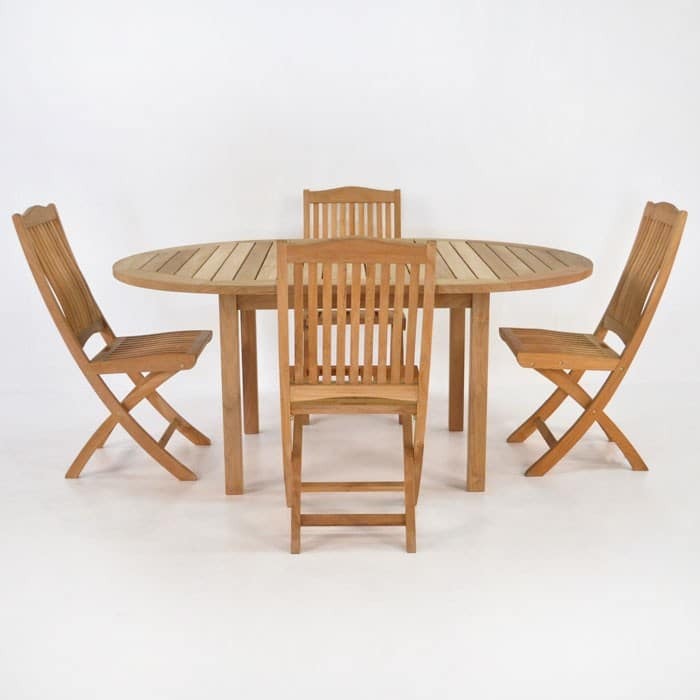 With a Design Warehouse Dining Set, you’re buying quality materials and well matched pieces of furniture ready for that special evening outdoors. 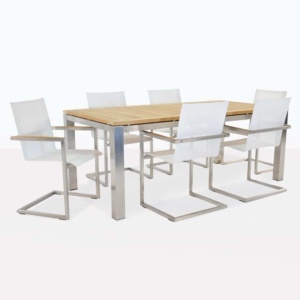 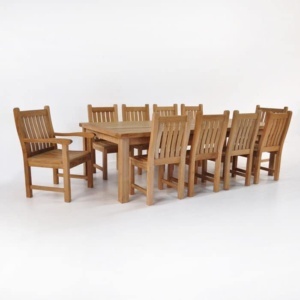 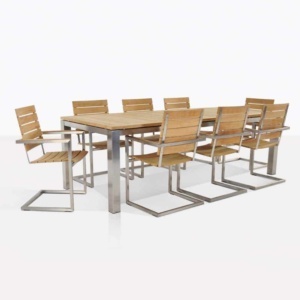 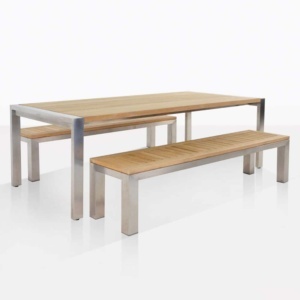 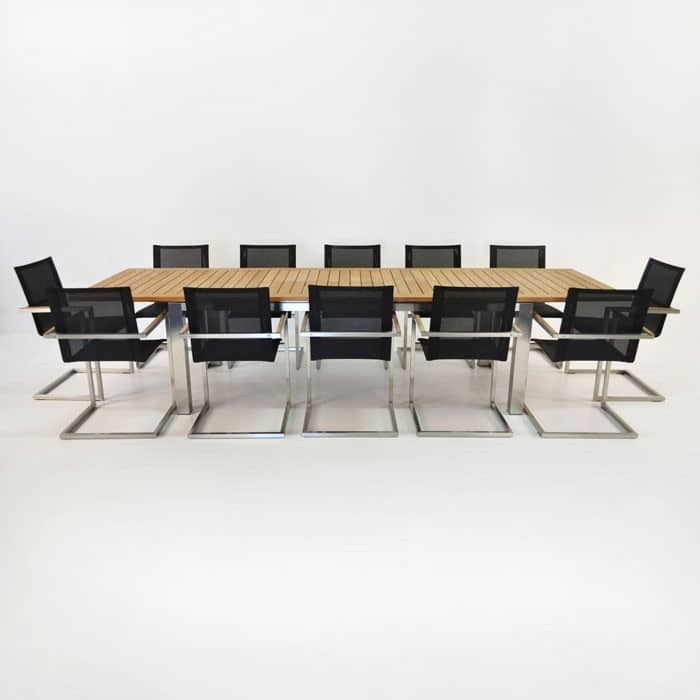 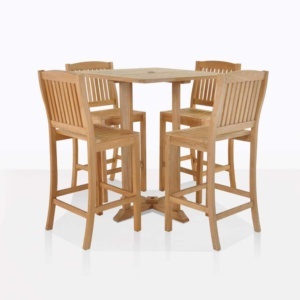 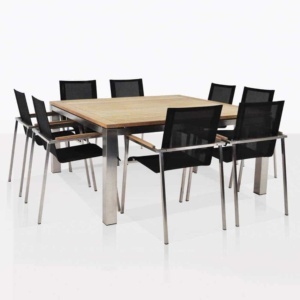 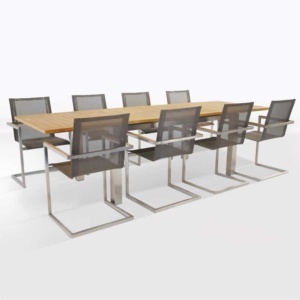 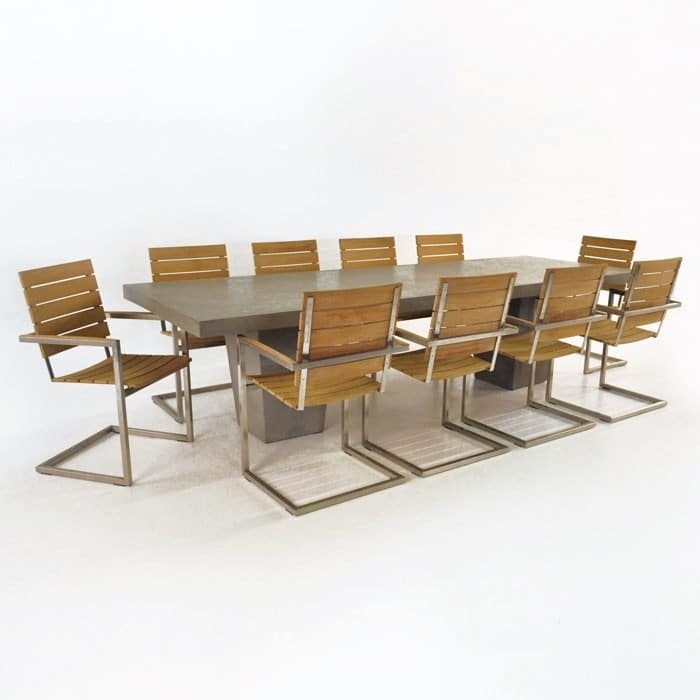 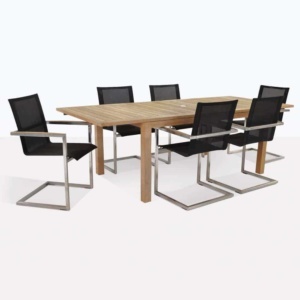 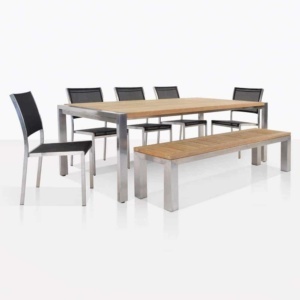 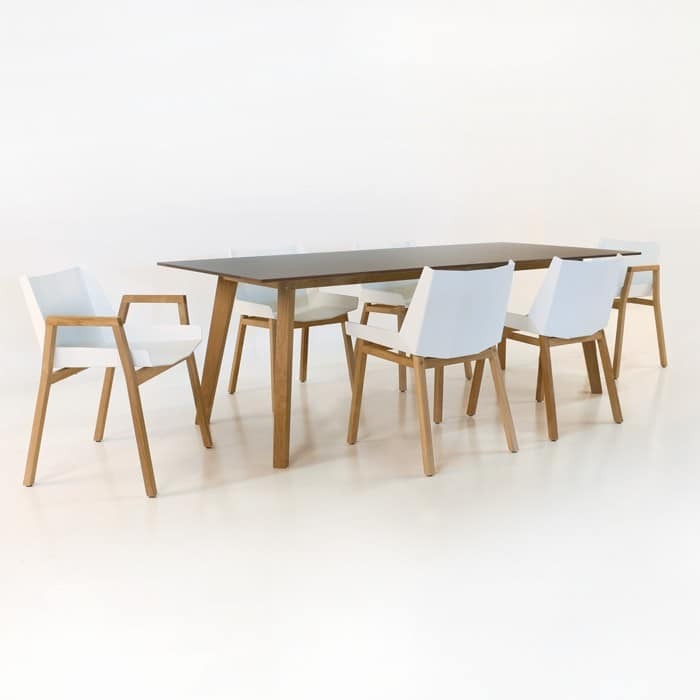 We offer amazing A-Grade teak tables and chairs together and matched with other component materials. 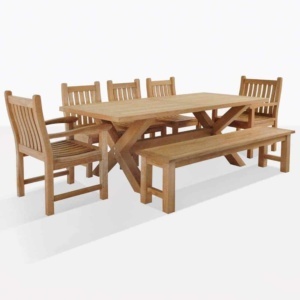 Teak wood is a perfect wood for outdoor dining because it ages gracefully, is excellent in all-weather types and it looks so good. 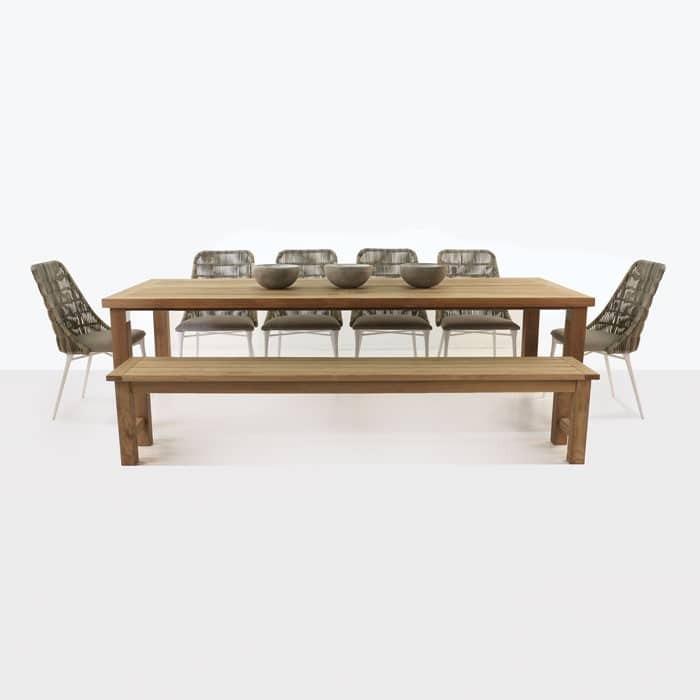 But Grade-A teak is only one of the components of our dining sets, we feature a powerful mix of other materials like concrete (we use a resin/concrete mix), 316 marine grade stainless steel, Viro® outdoor wicker fiber, Batyline® mesh, UV protected plastic and reclaimed teak. 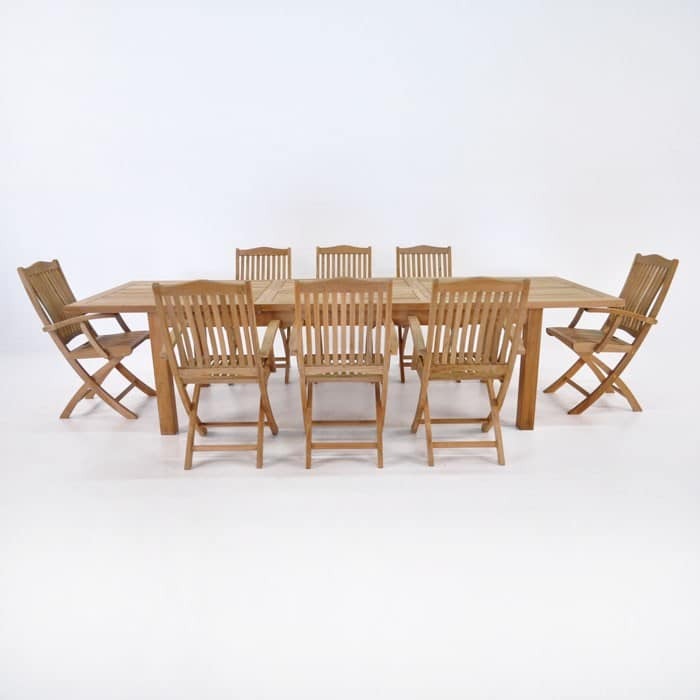 Our reclaimed teak outdoor dining sets offer the type of character you can’t find on mainstream “cookie cutter” products. 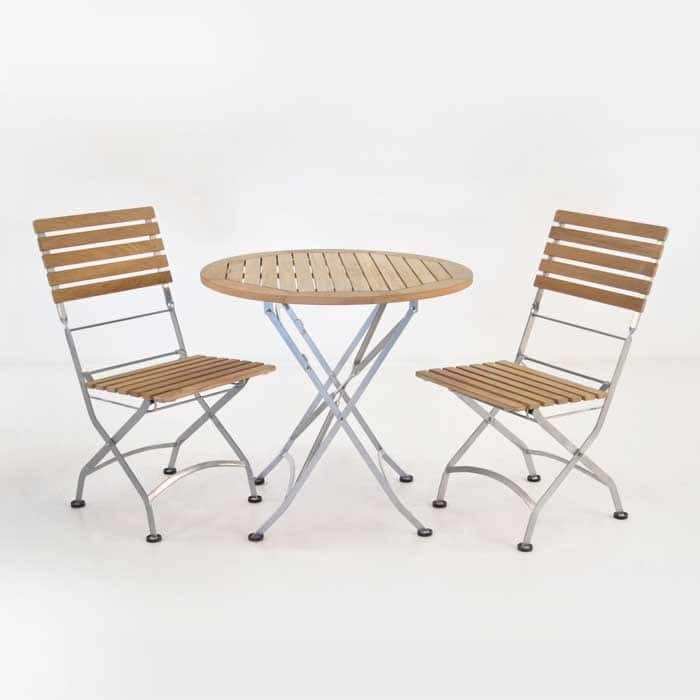 It’s got that something special that proves no two specimens will be the same. 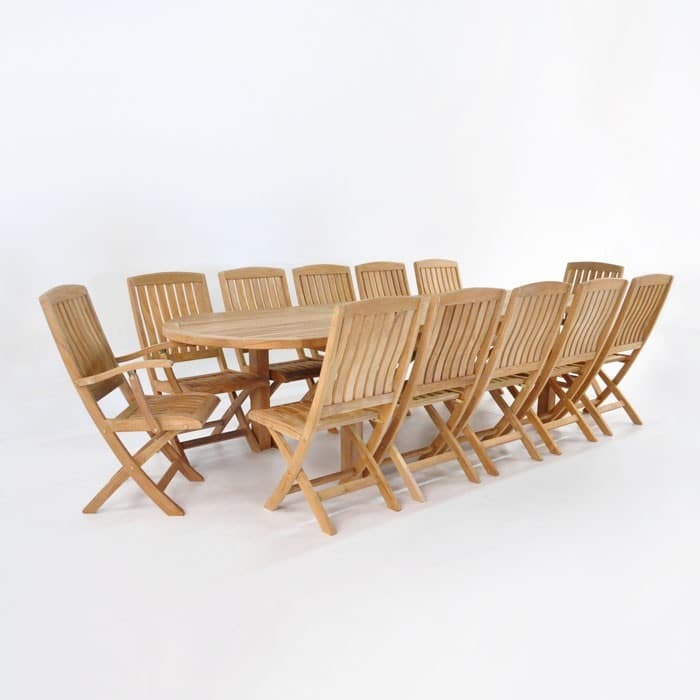 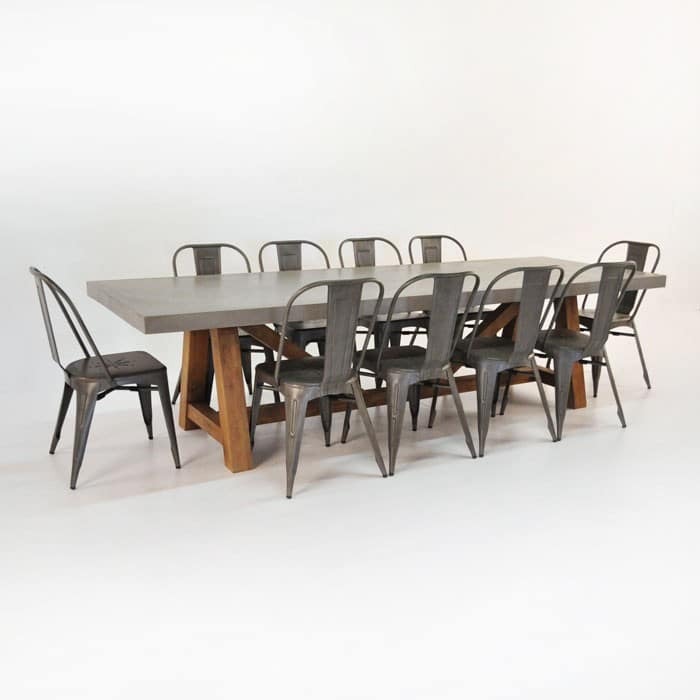 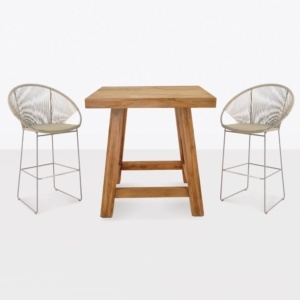 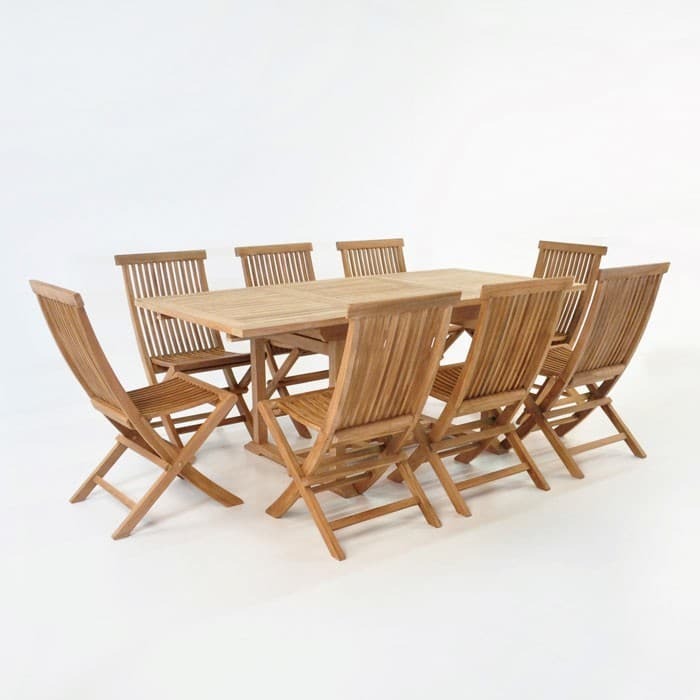 Reclaimed teak works well with modern dining chairs, contemporary and stylish and minimalist styles, but it also works with wicker and plastic to give you a truly unique and powerful look in your outdoor dining space. 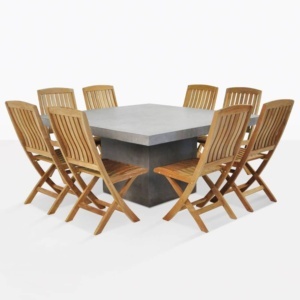 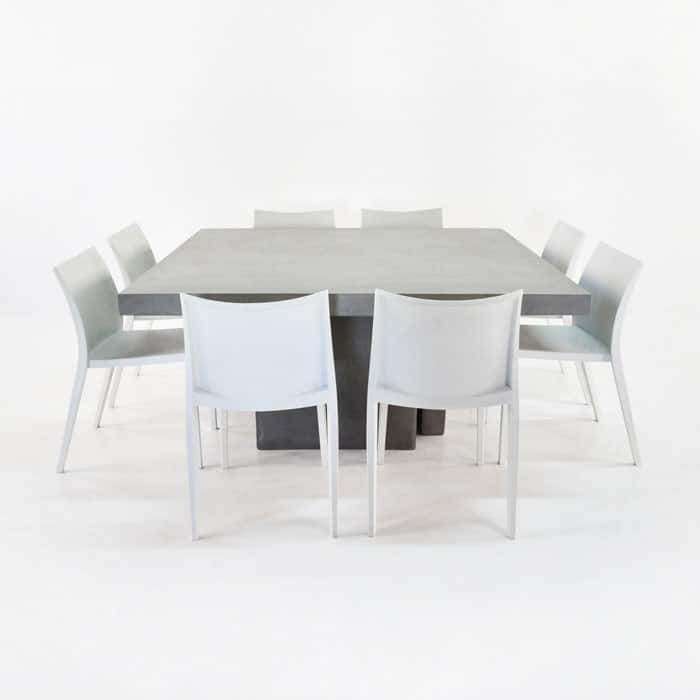 Plastic chairs and concrete tables offer a super clean look for your space and give you a wonderful way to showcase vibrant food and host friends and family. 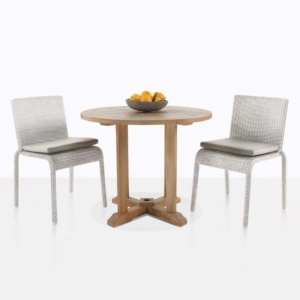 Batyline® mesh modern dining chairs built on stainless steel paired with classic teak tables offer a refreshing new take on outdoor dining and giving the utmost in comfort and sleek good looks. 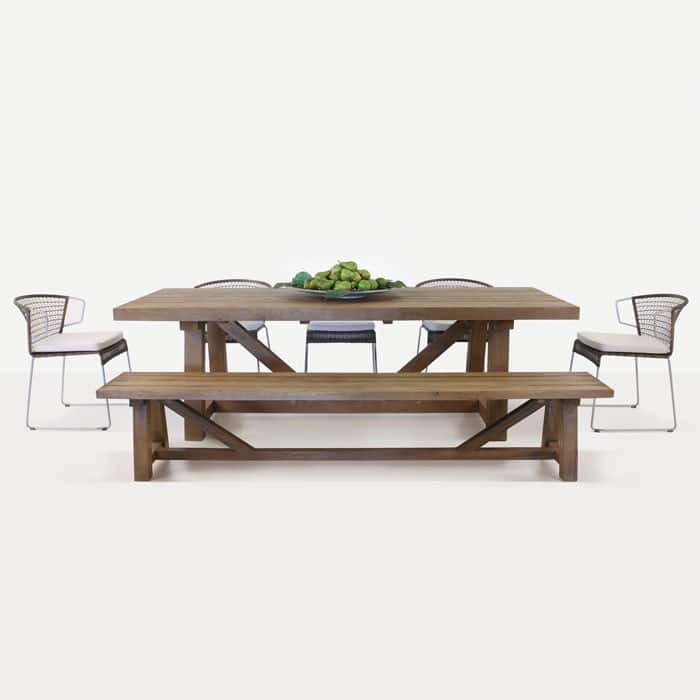 Solid plank style teak tables and benches give a dramatic, impactful look and show the true body of our Grade-A teak products. 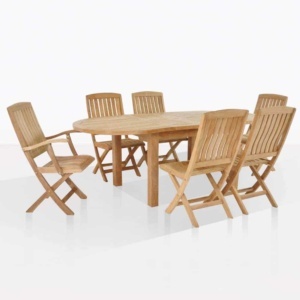 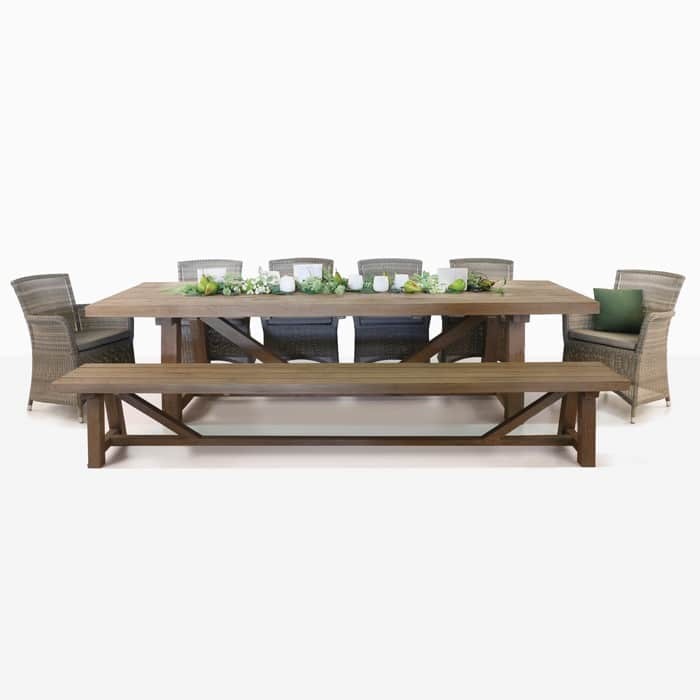 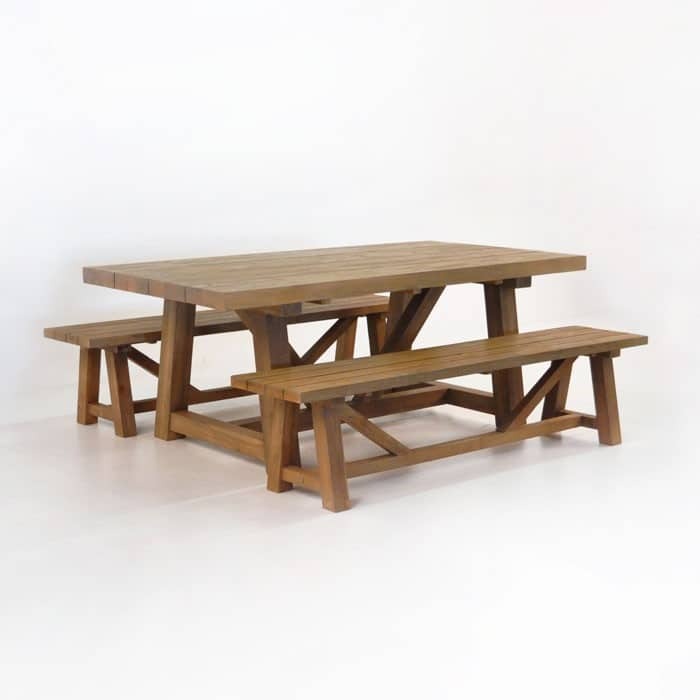 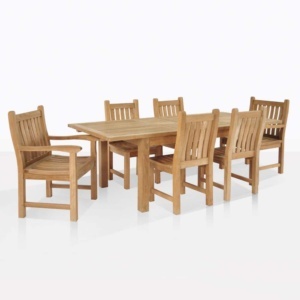 You won’t find a heartier or more impressive set of teak furniture than our heavy planked large outdoor dining tables. 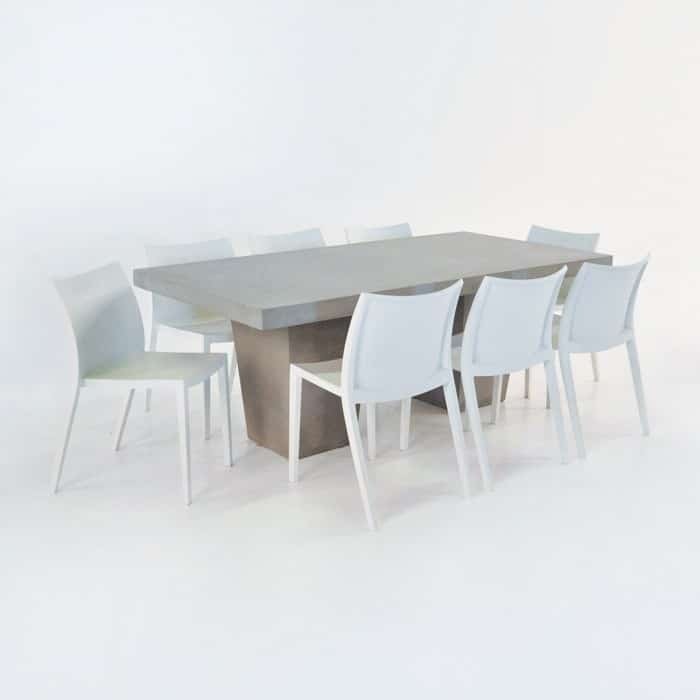 They exude quality and presence. 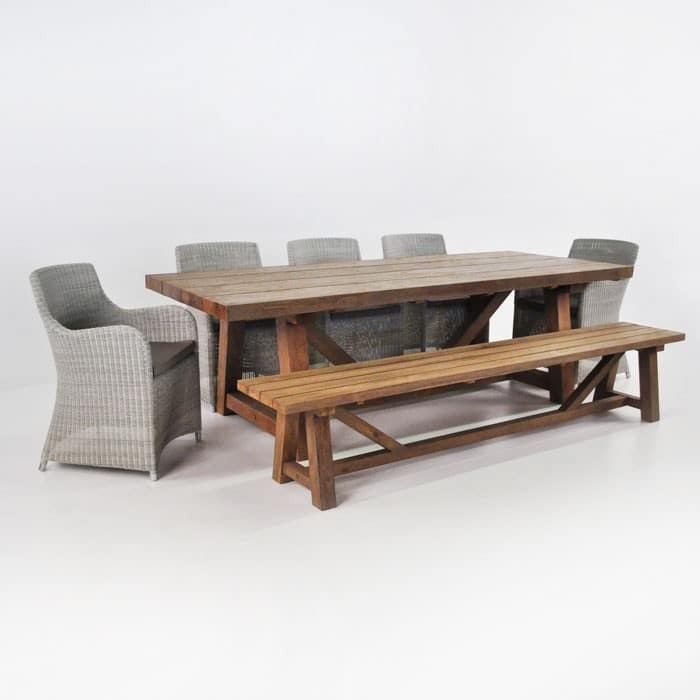 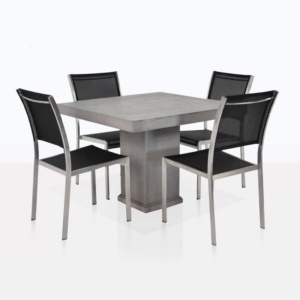 For unmatched ease of ownership and care, you can count on a variety of beautiful outdoor table and chairs options from Design Warehouse. 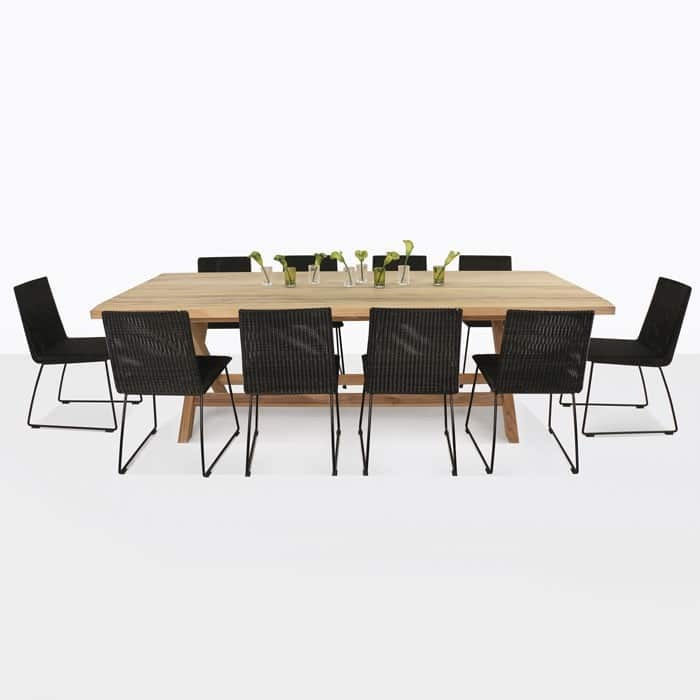 Among those is our Viro® and Rehau® outdoor wicker furniture, including several in our dining set collection. 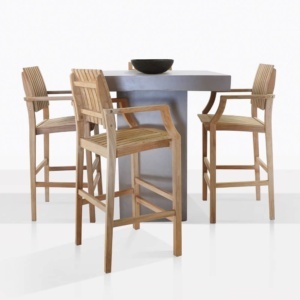 The all-weather attributes and comfortable designs are still stylish and classy, giving the best of both worlds.